As the new year begins, the industry is noticeably taking a “wait and see” outlook. But the biggest difference between now and the “credit crunch” of a few short years ago is that it’s possible to characterise this outlook as “cautiously optimistic”. Everyone seems confident that although supply has outpaced demand at the moment – for whatever reason – that growth in demand is inevitable and will return. Managing risk, which is always important, takes on a new urgency when the economy takes a downturn. From the professional services firm Johnston Carmichael we hear how this makes it the ideal time to encourage companies to think about the future, and the potential business opportunities and risks the coming year could bring. The Arctic remains a hot topic, and the region presents its own, unique risks. DNV GL has developed an Arctic Risk Map to provide stakeholders with a comprehensive tool for decision-making and transparent communications across offshore and maritime activities in the Arctic. We also focus on maritime in this issue, and ABS points out that the offshore support vessel (OSV) sector is one of the most dynamic, with a growth in sophisticated and multifunctional units – a trend that is set to continue. ABS reminds us that classification societies will have to keep pace with this growth if they are to continue to provide guidance that will allow these new units to operate safely in their expanding role in demanding new operating environments. From Senscient and Suncor Energy we hear about how implementation of advanced laser-based gas leak detection technology on board the Terra Nova FPSO resulted in a significant improvement in safety, reliability and process uptime. Remotely operated vehicles (ROVs) and their ever-expanding contribution to the industry are also a topic in this issue. The Autonomous Ocean Systems Laboratory (AOSL) at the Memorial University of Newfoundland is making use of a Saab Seaeye Falcon ROV as a development platform for research into how to provide early warning to rigs at risk from drifting icebergs. From The Underwater Centre we hear about how work class ROV training is imperative to meeting the need for a skilled, competent workforce. Their solution is to provide the most contextual and relevant training that is tailored to the needs identified by the sector. Jee Ltd., which offers subsea engineering services and training, tells us about how their new courses offered in Stavanger target filling a gap in the market by providing training options that trainees would have had to travel outside of Norway to experience in the past. This issue also includes a look at pipelines, and from PII Pipeline Solutions, we have a feature that describes how reliable and accurate data gathering and the use of inertial measurement unit (IMU) technology during in-line inspections can help prevent failures from the forces of nature, including earthquakes, landslides, and sea bed movement. Also, Ramco explains how its team of experts have developed the self-contained, advanced Pipe Care Unit Type 3,which means it can be transported for use in locations where there is no infrastructure for pipe cleaning and inspection. 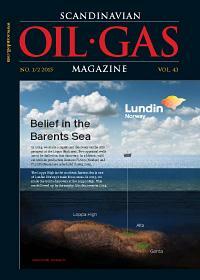 While there’s much more in this issue, we’re already planning our upcoming issues for OTC and Nor-Shipping. If you have any news you’d like to tell the industry about, let us know – we’re looking forward to hearing from you.